Don’t Forget to Wash Behind Your…Bridges? Starting at MoDOT I knew I had a lot to learn. Each day is a new lesson on how MoDOT works and what we do to provide a world-class transportation experience. While I am trying to take in all of this new information, one thing that I heard recently I didn’t expect. 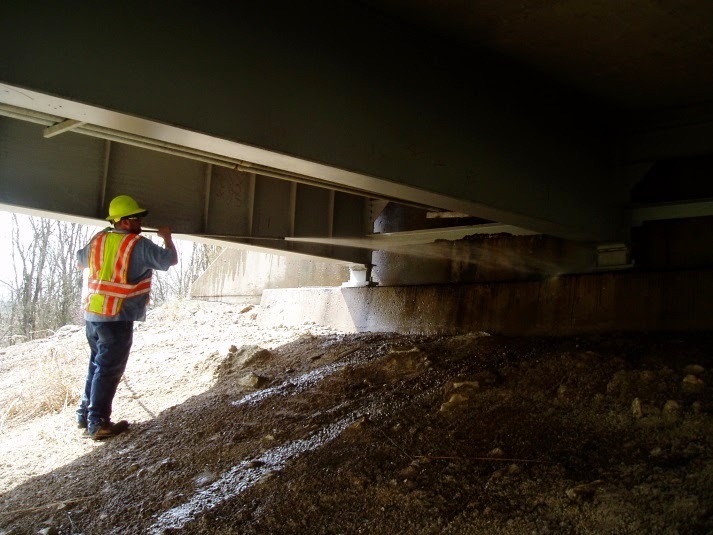 MoDOT washes bridges. After making sure my coworkers were not pulling a fast one on the new guy I wanted to learn more about this process and why we do it. I reached out to Maintenance Liaison Engineer Michael Shea who was happy to help a new MoDOT employee learn about this maintenance procedure. During the winter season salt is put on the roads to help melt the ice and provide safer driving conditions for Missourians. When the weather gets warmer it is common to wash your car so the salt and abrasives don’t start to cause erosion and rust. 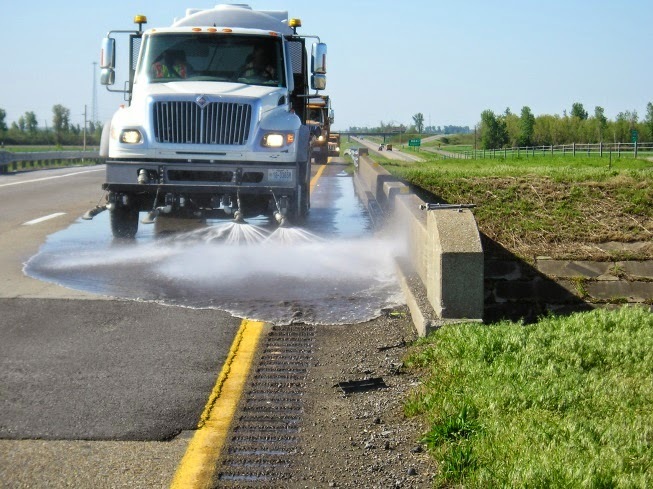 In order to keep the bridges free from the same salt and abrasives that could lead to deterioration on your car, MoDOT washes Missouri bridges twice a year using flush trucks, sweepers, and other equipment. It doesn’t matter if the bridge is new or old, it will be washed before and after the winter season. Washing the top surface of the bridge is only half the battle. Many bridges have expansions joints that can start to leak due to the forces of nature hitting them over time. These leaks can lead to salt and abrasives getting down underneath the bridge. Although it can be harder to get to and may require the use of scaffolding, washing underneath the bridge is just as important as the side you drive on in order to maintain a better bridge. If you ever come across a maintenance crew blasting water on a bridge remember they are there helping keep that bridge healthy for you to drive on for years to come.